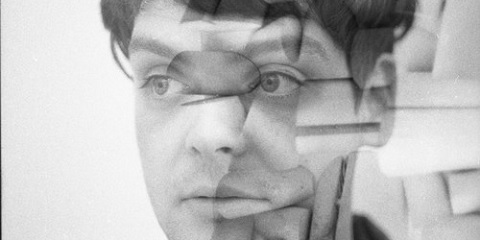 One of our absolute favourite things, is when an artist we adore returns with new music. Especially when it is unexpected and ever more so when the music reminds us just how incredible they are. It’s been over four years since Sivu first appeared with the wonderful “Better Man Than He” (and its mesmeric video), over three years since he was our top tip for 2014, and over two years since his incredible debut album, Something On High. It’s been just a few days since he returned with news of a forthcoming follow-up and the haunting “Childhood House”. Conceived during a post-tour writing session, deep in the wilds of Scotland, “Childhood House” is so deftly poignant that it’ll bring a lump to your throat and an ache to your heart. It’s a song that you know will be performed to absolute silence and an engrossed audience when played live. There is an almost stately elegance to it. The piano line is so simple and beautiful as it walks with you, hand in hand, passing memories as you go. Its deep emotional core resonates with the listener and behoves your rapt attention. It’s one of those magical songs that no matter where you are, you can just close your eyes as you listen and it’ll transport you off into another world, a world of heartfelt majesty. T’was a little over two years ago when we and the world were first introduced to Sivu via an MRI video, a hypnotic tongue and a powerfully emotional and tearjerking debut song. Since we wrote about “Better Man Than He”, way back when, the country has been toured several times, wonderful EPs and a magnificent album have been released, collaborations beautifully formed and acclaim has justly been showered upon him from all corners. Now, just when we’d expect Sivu to need a little rest, he has returned with another stunning collaboration and, as they were two years ago, the tears are flowing once more. For all the talk of his idiosyncratic style and offbeat songwriting, no one does pure and heart-wrenching emotion quite like Sivu. Written about watching someone close to you slowly pass away, “The Nile” is stunningly poignant and beautiful. Throughout the opening verse there is a wobble in the vocals, a tremor of anguish that ripples across the song as it builds in a groundswell of torment and pleading. As the pain builds so does the arrangement, a simple piano lament remains as strings and almost imperceptible electronic elements join the suffering. The presence of Rae Morris gives “The Nile” an extra layer, a feeling of subtle intensity and drama permeating from her vocals; vocals that so perfectly complement Sivu’s that we can only hope for further combined efforts from the pair. The harmonies are almost reverential and as denouement is reached, a drum beat can be heard for the first time, a slow funereal rhythm signalling that the track is ending but that the emotion wrought within will remain for some time. 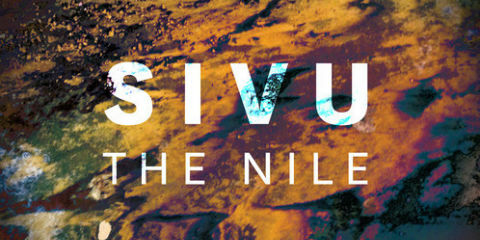 ”The Nile” is the double-A-side to forthcoming single ‘Sleep, taken from Sivu’s debut album ‘Something On High’ which is available to buy here. We all know there aren’t really any guarantees in life, even the old adage about death and taxes doesn’t really ring true anymore, not if you get the right accountant at least. Yet over the last year and a bit, one thing we have found to be a certainty is that when Sivu releases a new song, it will sound fantastic. As if to prove this point, the once upon a time call centre worker and Alphabet Bands number one artist to listen out for in 2014, is streaming his latest offering, “My Oh My” and yes, it is just gorgeous. So elegant an lovely is it in fact, that we are forgoing any of our usual attempts at punnage, despite the rather obvious and almost uncontrollable urge to riff on that song title. No, instead we shall just focus on what Mr Sivu does so well, and that is write dreamy and emotive lyrics to accompany sublime melodies and deft musical arrangements. Here the delicate electronica of the beat plays lightly amongst the soft horns and synths like a tiny tribe of jungle elves while his fragile falsetto drifts and caresses. It is soothing and calm whilst stirring emotion and imagery within your relaxed and fertile mind. We do rather love it. The whole thing walks serenely like an enchantress through a mystical wood and my oh my, it is gorgeous. ”My Oh My” is available as a free download for a limited time from the Soundcloud player below. Here’s a little something extra for you all to enjoy today, something a little different. As you are no doubt already aware, we are massive fans of Sivu and are always pleased to hear anything new from him, yet yesterday we were taken aback when a new Sivu track popped up online. He’d only just released ”Can’t Stop Now” so what was this we were being treated to? ‘Treated to’ was spot on by the way, as the gentle organ-ish drone began and sparks of recognition began to flash in our brain. Soon we were taken back by this startling cover of a Nirvana classic. We were taken aback by the quality and ingenuity of the reimagining and taken back as well, back to our youth when Nirvana were it and In Utero was on constant rotation. Yeah, we were a bit like that back then. Here though, with the warmth of nostalgia in our heart and the stark cold of Sivu’s cover hitting us like a blast of fresh winter air in the morning, we were older, wiser and still loving and getting excited by music. It’s somehow even more melancholic, more languid and sorrowful than the original but it is also more enthralling. It is disarmingly soft and hypnotic, with that slight ripple to Sivu’s voice perfectly complementing the low resonance of the droney undercurrent. As an over excited Louis Walsh would exclaim whist bouncing on his chair like it was a space hopper, Sivu has stamped his mark on it, taken it and completely made the song his own. Or that he looks like a young Bono or something ridiculous (he doesn’t). Sivu’s latest single ”Can’t Stop Now” is out now and available to buy from iTunes. He’s our number one artist to listen out for this year and was a whisker away from topping the UK Blog Sound of Poll. Rather than sit back and bask in all that glory, Sivu has already set about making 2014 his own with a brand new track and a further evolution of his music. 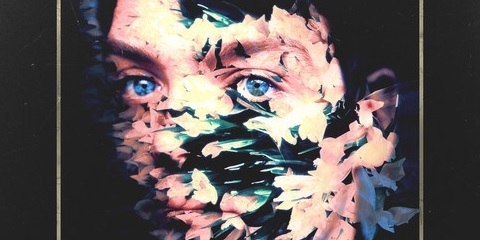 Continuing the expansion of sound and deeper level of production than we heard with ”I Lost Myself”, “Can’t Stop Now” adds further layers to his beguiling folky pop. It still jangles, it still winds its way along in a charming way but there is more to it, little whirring embellishments and digital flourishes that add a sense of the old fashioned into this new wave. A scratchy cathode TV tunes in as we are welcomed into an analogue daydream, the picture slowly revealing a warm, summery backdrop for Sivu as he plays live for our enjoyment. Images of every make believe journey through space we ever took fly through our minds as he joins us on them, transported within TV picture and imagination to a world where cardboard boxes made for high tech shuttle craft and milk bottle tops made the dials. Mechanical background whooshes carry the vocals through our happy place, with its own role to play just like the cylinder vacuum cleaner played the role of attacking aliens in our childhood adventures. It’s a step forward musically into a look back, a retro innocence punching its way into a digital universe.